Hi everyone! Let me start by thanking you for visiting our website. 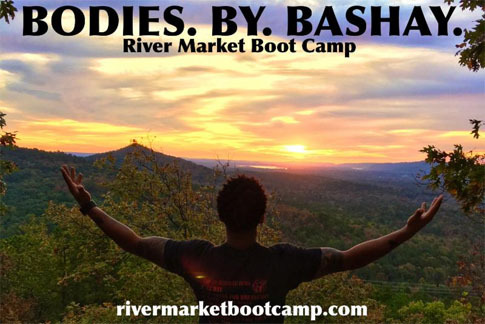 We at River Market Boot Camp are so excited and committed to helping you achieve fitness goals you never thought possible. We have been helping others achieve their goals in Central Arkansas for over 10 years and have to say that our system is one of the fastest way to brand a new you. You will be leaner, toner, tighter, and have 10x more energy then ever before, I guarantee it! My MISSION is to get you results fast and educate you so that you have a lasting transformation. I will put you through a challenging workout that is focused on increasing your strength, endurance, flexibility and balance. My functional training strategy builds a stronger, healthier and more fit you in less time than traditional exercise program. We encourage all ages and sizes. I will give you the personal attention you require to achieve your goals. I will access your individual needs and get you on your way to achieving the body you always wanted! EVERYBODY SAYS THEY WANT TO BE FIT! � Dramatic increases in fitness levels! � Ability to burn more calories! � Increased feelings of well-being! � Measurable reduction in stress!